Filling e-TDS return is compulsorily for company and government deductors as per section 206 of Income tax law. So, it is the need of time to learn how to fill e-TDS return, if you are interested to work as accountant in company or government sector. Before learning simple steps, you should know, what is e-TDS? E-TDS means electronic tax deducted at source. It is duty of above mentioned deductors to deduct the amount income tax when they pay to others and prepare return in form No.24, 26 or 27 or 24Q, 25Q or 26Q in electronic media as per prescribed data structure in either a floppy or a CD ROM. The floppy or CD ROM prepared should be accompanied by a signed verification in Form No.27A. Central Board of Direct Taxes (CBDT) has appointed National Securities Depository Ltd. (NSDL), Mumbai as e-TDS Intermediary. Income tax department and NSDL have made different format according to nature of payments. So, accountant should choose any one from following format. 1. E-TDS clean text ASCII format: You can use any software like ms excel, compu tax or Tally.ERP or NSDL’s software Return Preparation Utility (e-TDS RPU-Light) for making e-TDS return but E-TDS file formats must be in clean text ASCII format with 'txt' as filename extension. 2. Correct Tax deduction Account Number (TAN) of the Deductor is clearly mentioned in Form No.27A as also in the e-TDS return, as required by sub-section (2) of section 203A of the Income-tax Act. 3. The particulars relating to deposit of tax deducted at source in the bank are correctly and properly filled in the table at item No.6 of Form No.24 or item No.4 of Form No.26 or item No.4 of Form No.27, as the case may be. 4. The data structure of the e-TDS return is as per the structure prescribed by the e-Filing Administrator. 5. The Control Chart in Form 27A is duly filled in all columns and verified and as enclosed in paper form with the e-TDS return on computer media. 6. The Control totals of the amount paid and the tax deducted at source as mentioned at item No.4 of Form No.27A tally with the corresponding totals in the e-TDS return in Form No. 24 or Form No. 26 or Form No.27, as the case may be. 7. Bank Branch code or BSR code is a 7 digit code allotted to banks by RBI. This is different from the branch code which is used for bank drafts etc. This no. is given in the OLTAS challan or can be obtained from the bank branch or from www.tin-nsdl.com. It is mandatory to quote BST code both in challan details and deductee details. Hence, this field cannot be left blank. Government deductors transfer tax by book entry, in which case the BSR code can be left blank. After the file has been set as per the file format, it should be verified using the File Validation Utility(FVU) (download here ) provided by NSDL. 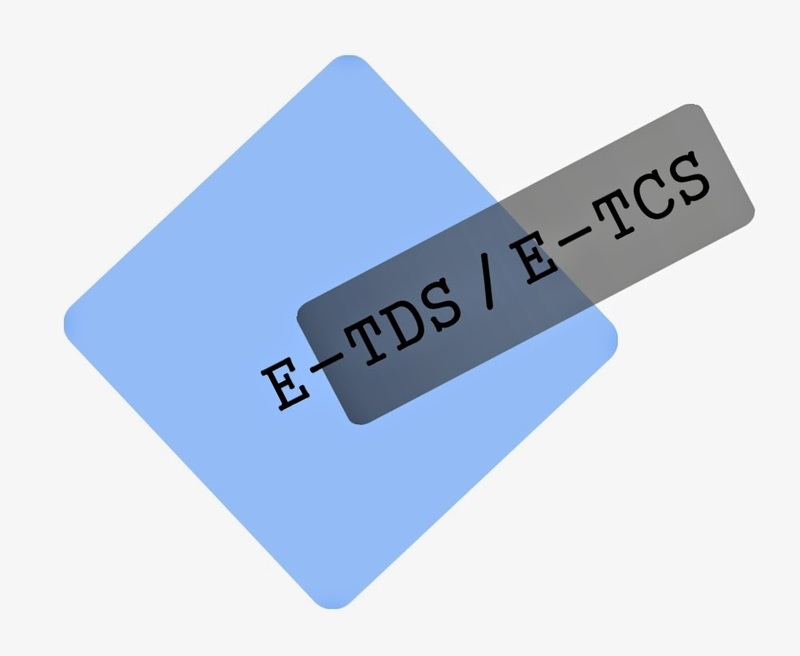 e-TDS returns can be filed at any of the TIN-FC opened by the e-TDS Intermediary for this purpose. Addresses of these TIN-FCs are available at the website on http://www.incometaxindia.gov.in/ or at http://www.tin-nsdl.com/ . Now, you have also facility to file your e-TDS return online for this you have to register to NSDL.